A group of Cooper Union professors, alumni, and students has filed a lawsuit against the school’s Board of Trustees over its decision last spring to start charging undergraduate tuition at the school. At the time, the board said the cash-strapped institution had no choice but to break their long-held tradition of offering free arts and architecture education. They announced that the change would go into effect this coming fall, and that tuition would be set on a sliding scale. 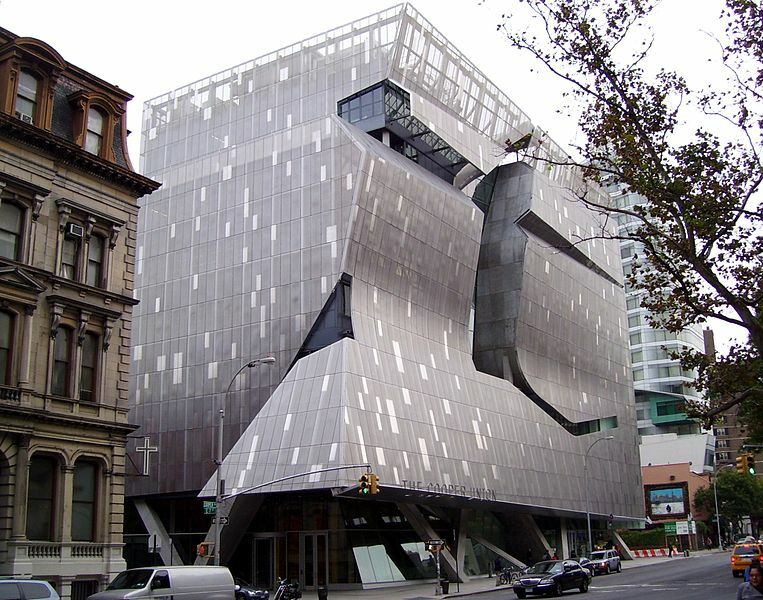 The group who filed the suit—the Committee to Save Cooper Union—is attempting to block this change before new students arrive this fall. The committee is also calling for an audit into the school’s finances, which they allege have been grossly mismanaged. According to the New York Daily News, “the scathing Manhattan Supreme Court documents accuse the school’s leaders of spending on fancy new buildings, borrowing more money than the school could afford and losing tens of millions by investing in a trustee’s own hedge fund.” One of those “fancy new buildings” is the school’s gleaming, 175,000-square-foot structure designed by Morphosis that opened five years ago.